 Funny that this comes up just as I’m preparing to put the final touches on my DeskPro 386 restoration! Gonna have to take it for a spin, though it’s already got Win/386 2.11. If you have a serial console/terminal/pc handy try the football/pigskin and other fun things over @ pcjs.org! You inspired me to take another look at this, and the first thing that struck me is how similar Win386 is to Emm386 + Win86. They’re not exactly the same; the 286 version is still using conventional memory for each opened application, and doesn’t have the same video handling support. But if you launch command.com from Win386 you see all of your extended memory is suddenly expanded memory, and that’s where all of your running applications apparently reside. 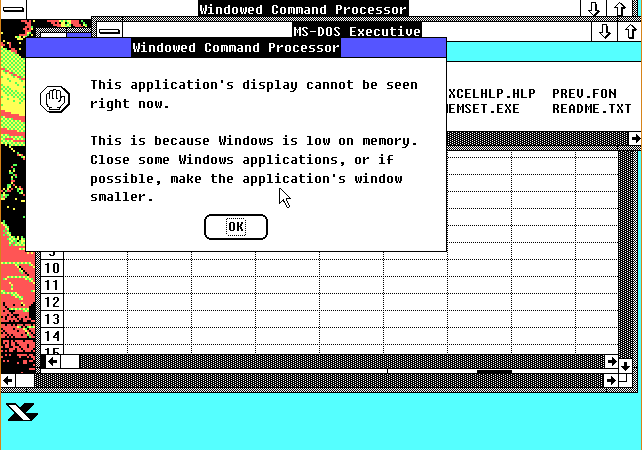 Windows 2.x could already use expanded memory for paging, before Win386. 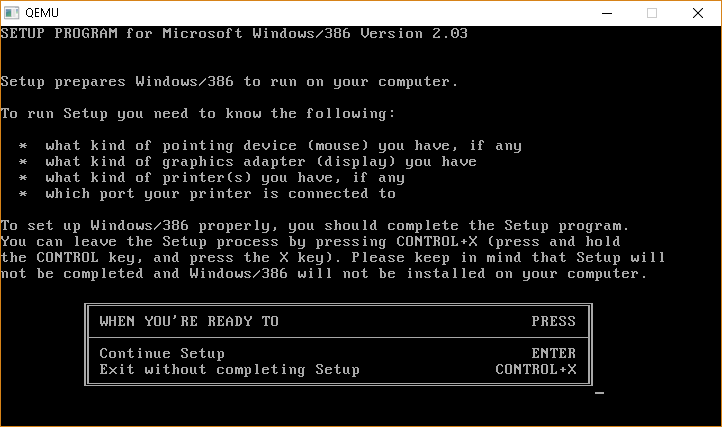 And if you try to run Win386 while Emm386 is running, you get “Error: Protected mode software already installed”. 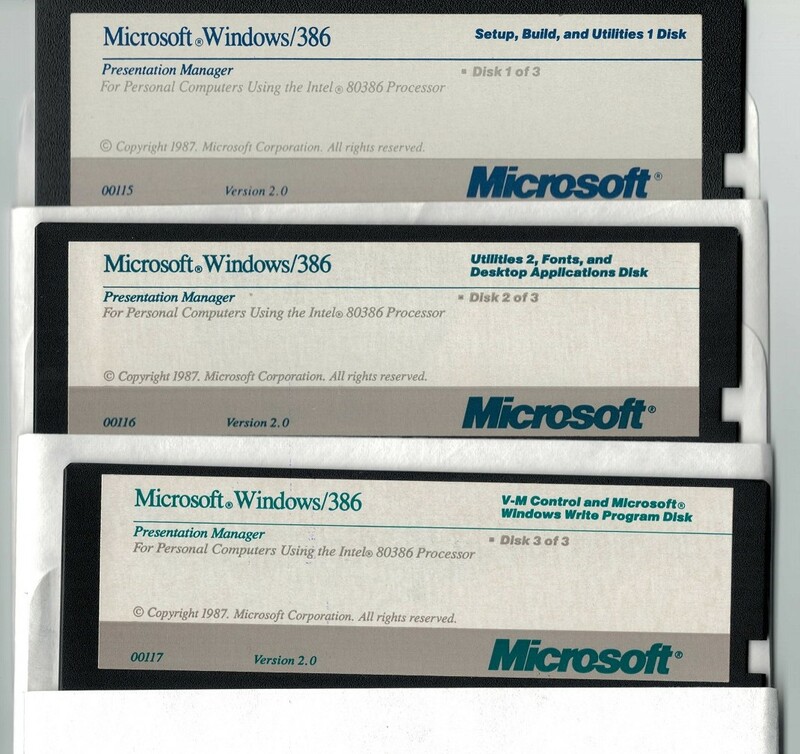 These two programs appear to have emerged at a similar time, and it makes me wonder if Emm386 is really a generalized version of the Win386 kernel. The book you really want is “Unauthorized Windows 95“, Andrew Schulman goes into how you can combine dosx.exe (the 16bit dos extender for Windows 3.x/9x) with other programs to get a stand alone DPMI environment, along with how you can also use win386.exe along with the virtual drivers to not only have virtual memory, DPMI, and virtual EMS frames within the Windows ‘hypervisor’. With multiple bigger applications, it often necessary to adjust the size of the large page frame to provide enough room for shared drivers and DLLs. Launching Windows with the command line WIN /L+40 would shrink the EMS page frame by 40 KB and therefore allow an additional 40KB of shared memory. Yes, this all is rather counter-intuitive since getting better multitasking requires giving each application less memory. Finding the optimum page frame size takes some effort. Sadly by the time it had a 386sx Windows 3.1 was all the rage and and when I got a 486sx hand me down, I went straight to OS/2 2.0 for a while as it was unusable on the 386.. NT 3.1 was insanely slow but 3.5 was amazingly quick and it’s PPP dialer was a snap to configure unlike the one for Warp or Linux. From what I saw last night, Win386 totally uses the HMA. Remember, the HMA is really an accident – it was supposed to be the beginning of extended area, but happened to be addressable from real mode. 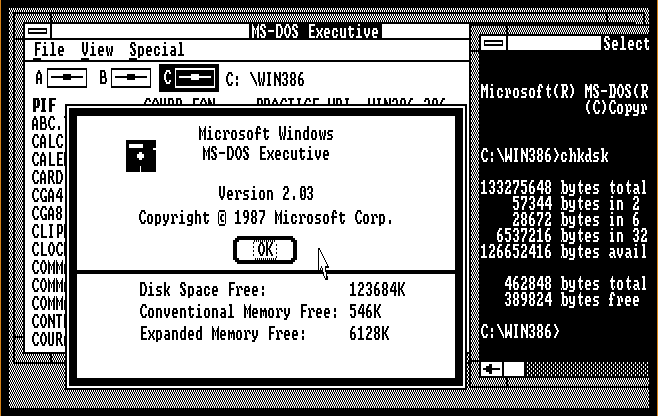 What happened to me was I was using DOS 6 which put itself in the HMA by default, which Win386 really didn’t like, and I had to tell it to stay low so Win386 could have all the extended memory that it was expecting. And yes, I was reflecting and had the same conclusion – any hardware that’s capable of running Windows 386 should probably run 3.1 instead, since that can run actual applications. My recollection of the time is nobody really used 2.x. The A20 gate was such… a crazy thing to have gone though. The ‘big’ applications from Windows 2.x were Corel Draw ,Aldus Page Maker and Micrografx Designer. I’m pretty sure they didn’t sell a large number of copies of either that runtime version of Windows, or Windows itself, but rather Microsoft was getting 3rd parities to write apps for Windows which certainly was more important than sales numbers at that point. 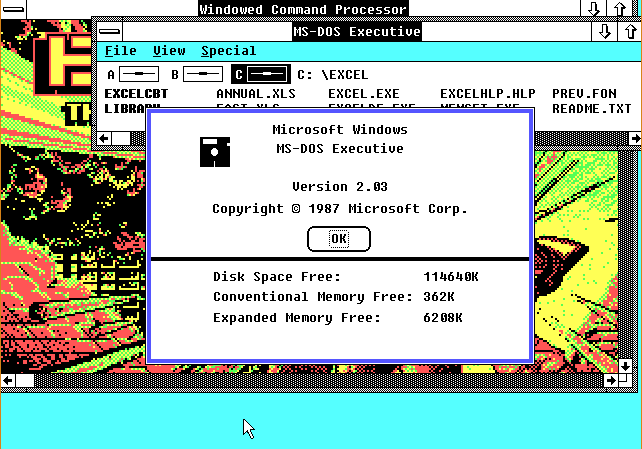 The big application for Windows 2.x was Excel. It was listed as achieving 12% of the PC spreadsheet software market in 1989 compared to 54% for Lotus 1-2-3 which suggests Excel sales of about 500,000 for the year. 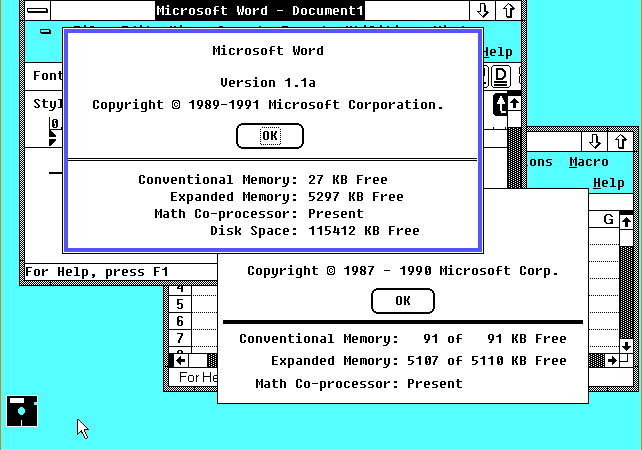 Word for Windows probably sold about 100,000 in 1989. 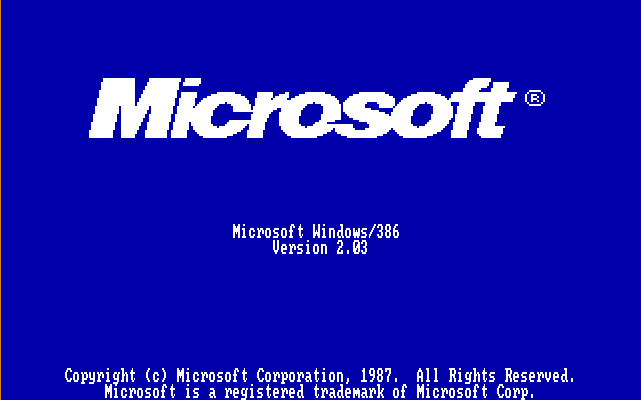 Windows 2 itself was selling at about 50,000 per month. Micrografx, Aldus, Micrografx all sold reasonably well in their Windows versions but those were not exactly major mass market products. Lotus 123 and Wordperfect were both multi-million sellers at the time. The Mac was selling at about the same volume as Windows 2 but Mac users spent roughly three times as much on software as DOS users. I was thinking of 3rd party VARs but when you put the massive leap Excel handed Microsoft, it really put them on the map. 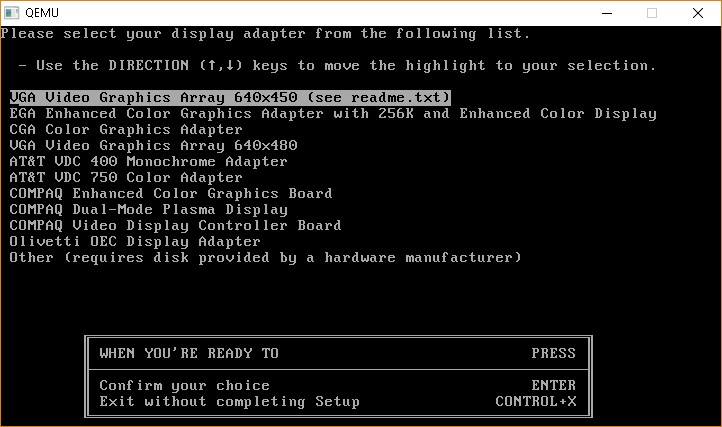 I remember getting the disks for 1-2+3 for OS/2 and was surprised it was just a full screen text mode app. They really did miss the market. WordPerfect as well was super guilty of holding onto that text UI. 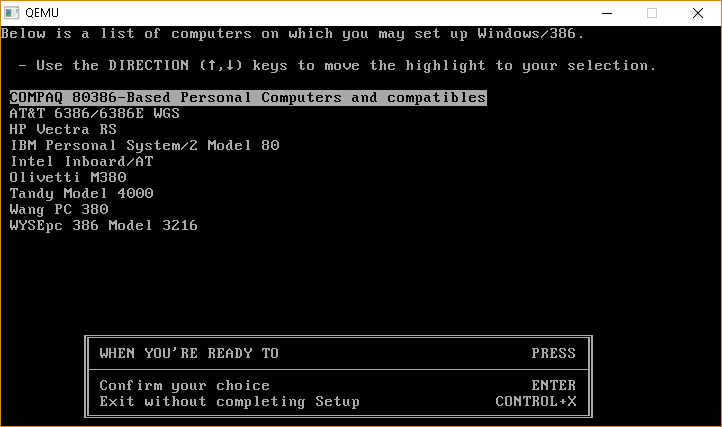 WordPerfect did port to other platforms, like that nice OS/2 port of 5.1. The problem is WordPerfect power users were used to the text only interface and keyboard commands, neither of which the GUI versions supported all that well. WordPerfect 6.0 was pretty good, but the whole Novell sale around the time Windows 95 came out delayed the 32-bit version way too long (and it didn’t even run on NT initially). Microsoft had Office 95 ready to go on day 1 which really killed off WordPerfect’s dominance for good. Yep, I had WordPerfect 5.1 for UnixWare (x11), although it was one of those too little too late type things. The sale to Novell certainly didn’t help things as Novell tried to create their own ‘office suite’ to counteract the Microsoft Office. At the University I went to, PC’s would come bundled with DOS/Windows+Office 4.x for super cheap making it a standard ‘by default’ although a lot of people rebelled at the idea of using MS Word, so we had Word Perfect all over the place. Although we were all told to use it because everyone was used to it, we had one holdout secretary that used MS Word for DOS of all things… And it just wasn’t worth the fight as we moved 100% to Windows, then to Windows 95. When I got a job at a bank though, you had to requisition everything separately which was a major ordeal, and Microsoft sure knew this, and their bundling meant you only had to go through the process once. That said I used to like Word 2, and really didn’t like the whole Word 6 thing. Word 95 just didn’t feel right and I actually was a big fan of 97. Although I’ve been using Word 2 again and other than format drift, it’s so much easier to find things. 2016 and the ribbon things in the 2008 world was such a step backwards. Now I’m the obsolete user. Where can this be downloaded from? I’ve seen Windows/386 2.03 pop up all over the place.